The perfect gift. Create custom wood prints with our unique Wooden Photo Hearts. Surprise someone special with this perfect customised gift! Click here to customise your wood print Make their day with our personalised 6" high (152mm) freestanding wooden photo hearts. Our wood photo hearts make the perfect gift on any special occasion. They are perfect to display on a desk, mantle piece, on a shelf, side table or any other flat surface. Our photo hearts are ideal for Instagram and any other images taken from a mobile device. Every wood print starts by being cut to size and shape before being carefully sanded and finally printed using our low energy print process which gently fuses the ink directly into the grain of the wood. Every wood print from Love Wood Prints is hand finished leaving a smooth natural finish, vibrant colour's and subtle tones that allow the natural beauty of the wood to shine through. We love wood prints and we hope that you will too. Natural finish is our most popular prints on wood option, this natural finish works well with almost any type of image. The natural earthy tones of the finish complement photographs and artwork depicting landscapes, memorable occasions or images that have a significant amount of negative space. 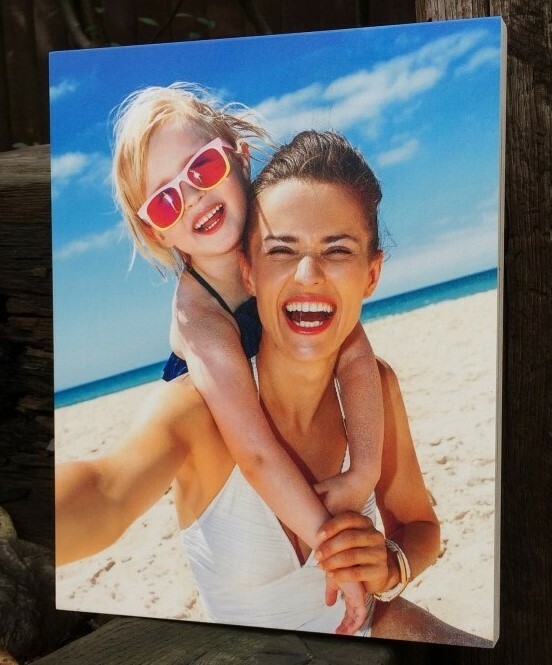 Your image is printed using the wood itself as a natural canvas which then allows the distinct character, blemishes and wood grain of the natural wood to shine through. Your image will not be an exact replication. We think it will will look even better! Any white areas in your image will be the natural color of the wood shining through. 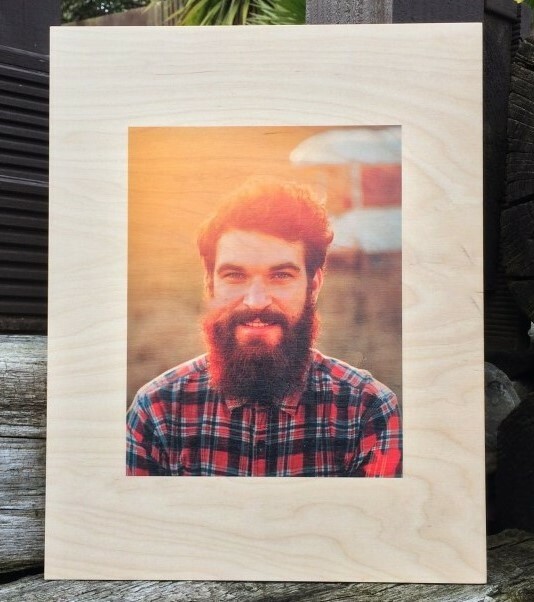 This will give your wood print a warm and natural tone throughout your image. If you have any questions or would like any further information please don't hesitate to contact us. Inspired by the feedback from our customers who enjoyed the look and feel of a natural wood print but wanted to maintain the brighter colours and detail of their image, we offer the Bright White print option. The bright white print finish will show less texture from the natural grain of the wood through the image. The natural hue of the wood print is replaced by a white canvas, giving the most true to colour wood print option. This option is ideal for wedding photos, family portraits, and any other image containing large amounts of white, shadow or detail.